Our loquat trees have started dropping fruit again. This is my second year with them since moving into the new house and they remain as exotic to me now as they did when we first looked over the property. I like the long, dark green leaves, the shade and screening they provide, and the sight of limbs so laden with small yellow fruits that they bow under the weight and bend lower than my shoulders. But here's the thing; the fruit's no good. Oh, they're ok. I don't mean they're bad or nasty, just that they're insipid. The taste is something like a whisper of passionfruit or half-remembered peaches. Cooks make crumbles and jams out of them. Some just eat them off the tree. Loquat brandy had undeniable appeal, but at the end of the day, there's so little reward for the work it takes to skin and seed the fruit. That time could be better spent preparing just about any other fruit that has actual stand-out flavor. Passion fruit, for instance, or peaches. Even my initial thoughts of tropical loquat/rum cocktails have fizzled. And so I've begun shopping for a chainsaw. Down comes the tree in front. Down with the cluster along our property line in back. In their place? Avocado trees, a pair of them. 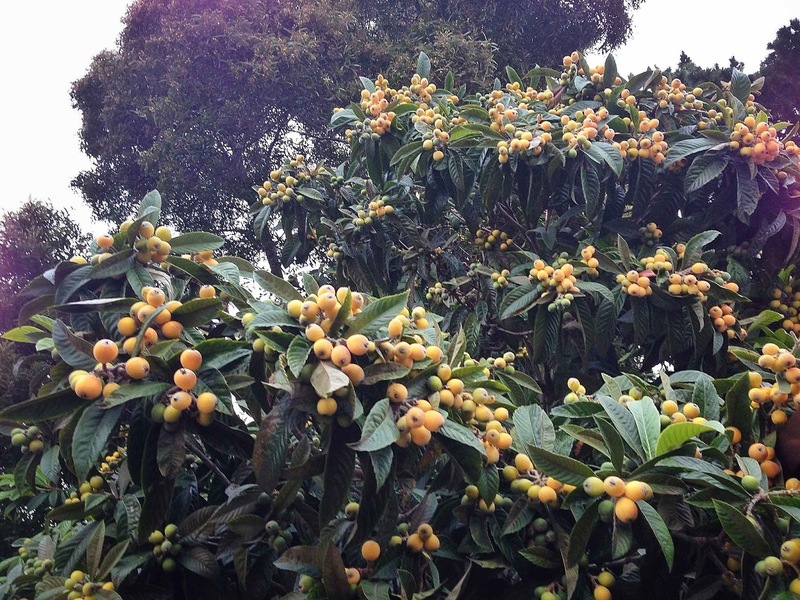 Over time, they'll grow huge and dwarf the cleared-away loquats. If we could grow respectable apples here, I'd plant them, but as odd as it is to think of them as exotic, that's what good apples are here in San Diego where blood oranges, loquats, avocados, and cherimoyas grow as if they were weeds. 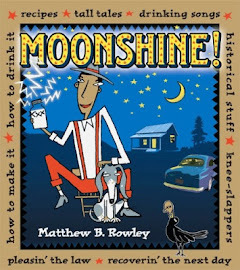 I've Never Eaten Paw Paw, a piece musing over the kinds of trees we eventually would want in the yards, written a few weeks after we moved in, and in which one of the drinkers at a cocktail party lets slip a howler of an admission. Prepping Next Year's Garden, in which I discover a concrete sidewalk and 1914 garage pad buried under our back lot. A landscape designer kept pushing for succulents all over the property here and wasn't getting the message that I didn't want any succulents at all — until I laid down the law. "If it doesn't end up on my plate or in my glass," I told her, "I don't want it in my yard." They're actually quite good eaten out of hand, when fully ripe. A lot of the flavor is in the skin, so don't spray and don't skin, just wash and eat. You can also make jams, fruit leathers etc. with the whole fruit minus flower end and pits. Punch the bottom through with your thumb(s), each fruit can be processed in a few seconds. Hey Anon ~ You're absolutely right; there's nothing wrong at all with good loquats. They can be delicious. The problem, however, is that these particular loquats are insipid. They are great-looking trees with very cool dark green leaves, but I don't think this variety was bred for taste – it seems bred for appearance. The good news is that I won't be just ripping them out – I'll be planting avocados instead, two separate varieties for cross-pollination. The longer I live in this not-so-new house, the more edible our yard becomes.